Merritt’s Store & Grill, located at 1009 South Columbia Street in Chapel Hill. Home of what has to be the absolute best damn BLT I have ever eaten. In. My. Life. 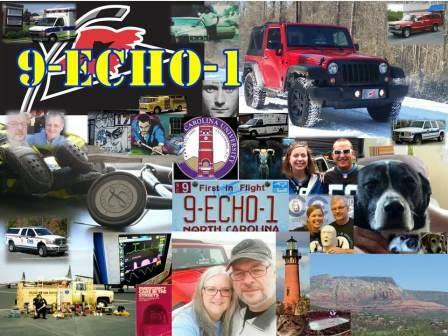 Mrs. 9E1 and I were watching a little bit of TV and an older edition of the Tar Heel Traveler came on about various NC restaurants. They were reporting on Merritt’s and I lamented on how many times I had been by there and had never been able to stop, or they had been closed. Within a few moments we decided that a road trip was in order from the Caniac Command Center. 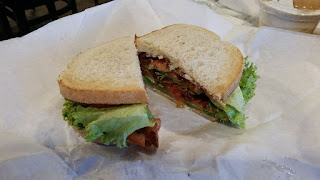 I had the single BLT with lettuce, tomato, mayo, and cheddar cheese on sourdough bread. The sandwich was huge and I could only eat half for dinner. Needless to say, I had the other half for breakfast. The bacon was excellent and plentiful, the bread exquisite, and the veggies fresh. The service was great…what more can I say? In the words of The Terminator- “(We’ll) be back”.